Flame On Reviewed by Dianna Augustine on April 3, 2017 . 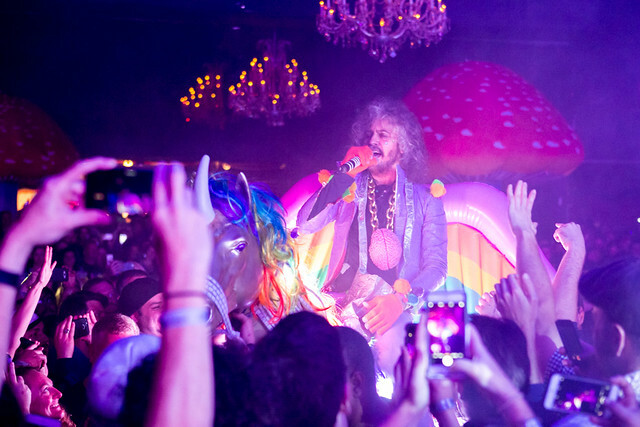 Flaming Lips, the weird, the amazing, the unicorns? Flame on! 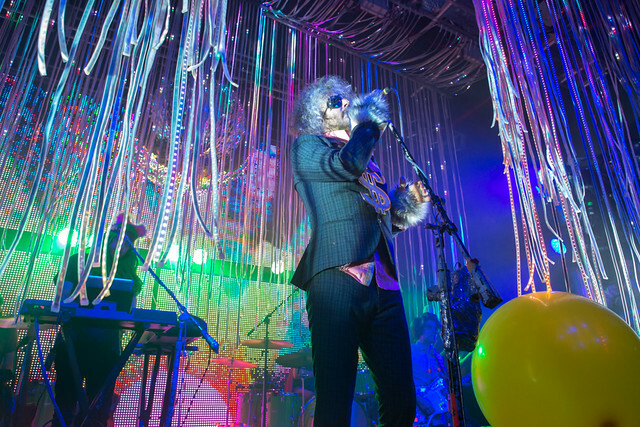 The sights and sounds of a Flaming Lips concert is spectacular. I mean, what does a glow-in-the-dark, lifesize unicorn, a giant clear gerbil ball soon to be inhabited, and two 12-foot-tall inflatable mushrooms have in common? The psychedelic rock arrangement brought their soulful space rock to Fillmore Charlotte this past week. When talking about their new album’s name, Oczy Mlody, lead vocalist Wayne Coyote said that “it reminded us of a drug, Oxycodone, and the initial appeal made us curious about what it could mean. First thing saw it meant eyes of the young – why we would like that is unexplainable; in English, we wouldn’t like it… but in Polish we enjoyed it could mean like that’. Seeing as most of their videos are like a real life acid trip, it sort of blends. The new album is definitely trippy enough to head back into familiar FL territory. A somnambulistic ride into the depths of the cortex to a bunch of cells that make a main brain known as the fans. A favorite for Oczy Mlody is the track “One Night While Hunting for Fairies and Witches and Wizards to Kill.” It’s funky, bright, and engaging. 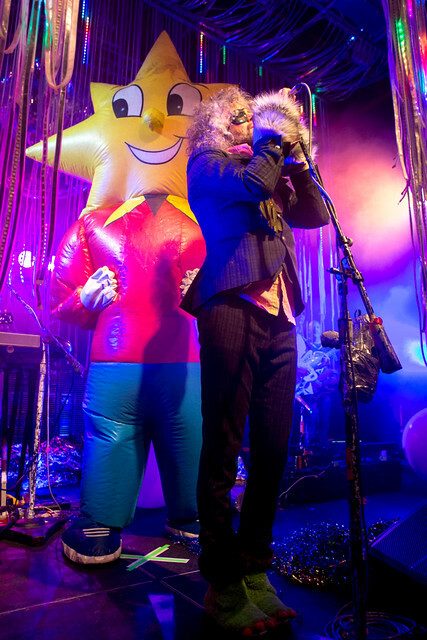 Having heard of the Flaming Lips since I was born, I was actually five when they set out to perform for the first time. Let me repeat that, I had probably just started Pre-K when this band played their first gig. 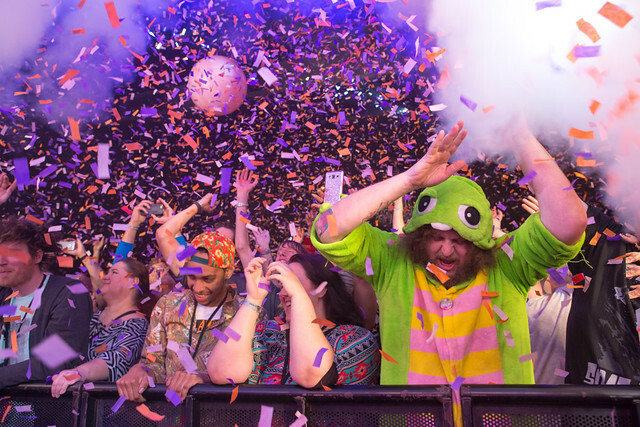 This night the alien leader himself Coyne presented the crowd with one hell of a ride, even during his real life ride on the unicorn. But I was interested in finding out what makes the Flaming Lips the Flaming Lips. Over their career they have been given that auspicious honor of having the official rock song of Oklahoma, their song “Do You Realize,” as well having an alley in downtown OK named after them. 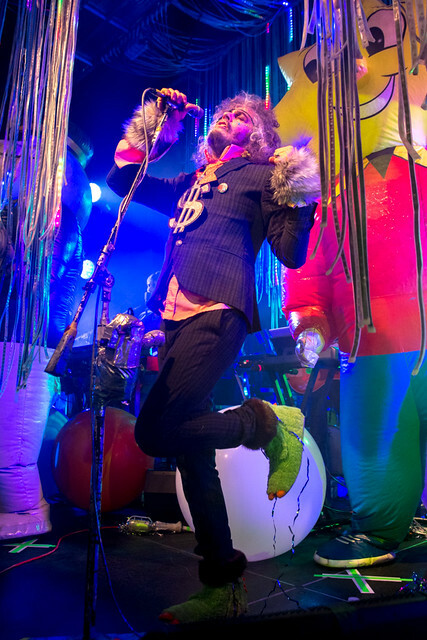 Being as much of their live performance is airguns of confetti, electronic inflatables, and beyond you might be strong-willed to call them a gimmick band. But unlike 99.9 percent of bands with this ‘semi-soft’ label, they are not a hack; their insatiable raw talent is hard pressed not to be recognized. Many bands of this genre have an extremely hard time translating something into a live show worth seeing. A prime example of a show hard to get into is a piano singer-songwriter who stays behind the keys and does lackluster movements with no interaction. You could have the voice of Jesus Christ himself and not keep everyone’s attention. What the FL’s are missing is the ability to bore anyone. Liking this genre or even their albums at their concert is a non-issue. The songs that are partially translated from CD to live, anything else is filled in with the visuals, the intense connection, and outright fun. Eccentric antics – 2011 was their year. They released a single once a month for a full year and told the fans for it to be listened as intended needed to be listened to simultaneously. In April, the band released the Gummy Song Skull EP, a seven-pound skull made of gummy bear material with a gummy brain, which contained a flash drive with 4 songs on them. This release was extremely limited. As well as encased in gummy foetuses. 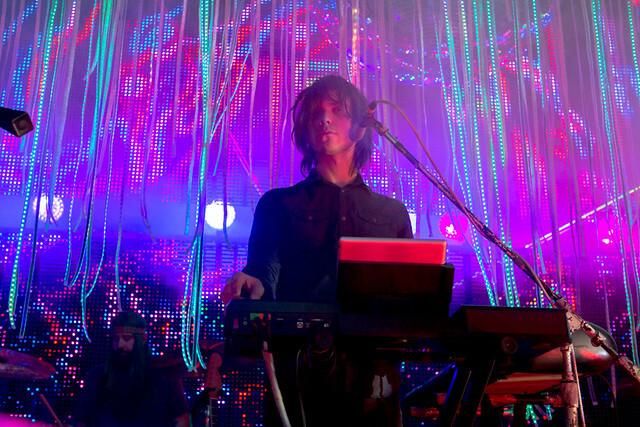 The same year, at midnight October 31, 2011, a 24-hour song was released titled “7 Skies H3“. The song plays live on a never-ending audio stream on a special web site set up by the band and was made available for purchase as a hard drive encased in an actual human skull, limited to 13 copies. This dramatic macabre release was and still is something fans lament about. 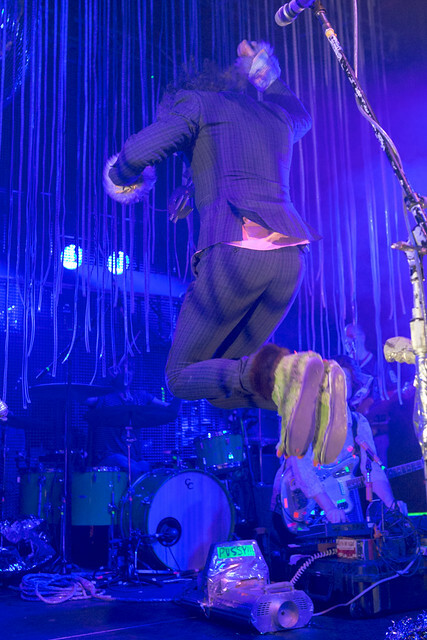 The night in Charlotte was littered with some of the hits and many of the antics, but all of pizazz and wonderment that has given this legendary band their kudos. .
Full gallery of the night.